Reuben Simmons 166.8 vs. Ayron Davis 172.6. 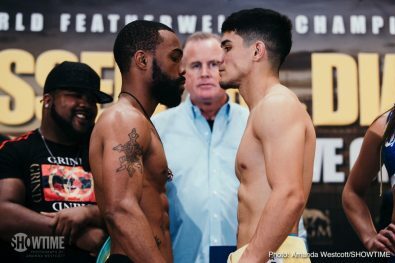 WBC Featherweight World Champion Gary Russell Jr. and unbeaten top contender Joseph “JoJo” Diaz Jr. went face-to-face Thursday at the final press conference two days before they enter the ring May 19 live on SHOWTIME (10:05 p.m. ET/PT) in the main event from MGM National Harbor in Maryland. 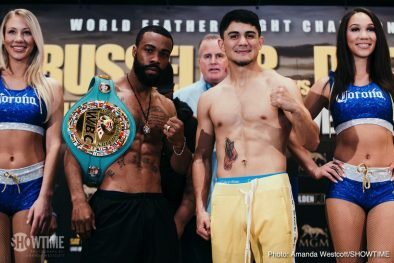 The battle between the 2008 U.S. Olympian Russell Jr. and the 2012 U.S. Olympian Diaz Jr. is part of a split-site SHOWTIME CHAMPIONSHIP BOXING telecast that will feature WBC Light Heavyweight World Champion Adonis Stevenson defending his title against two-division world champion Badou Jack in a main event from Toronto. 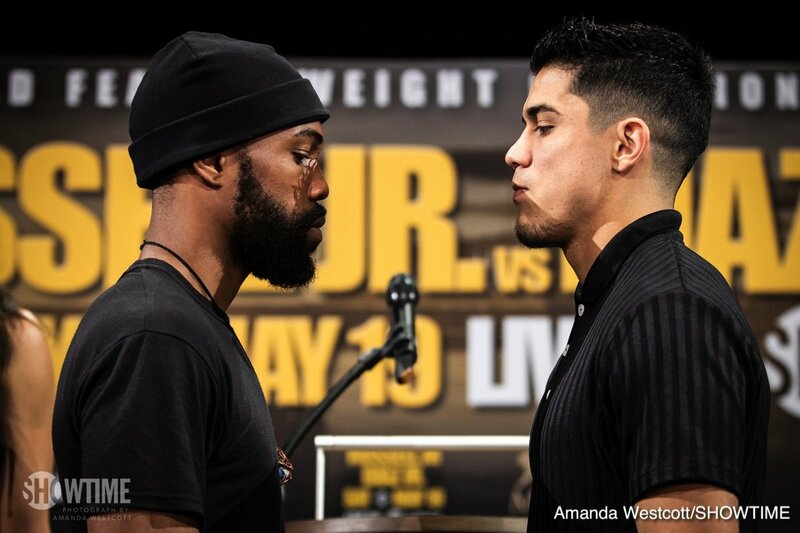 “We’re 120 percent ready for fight night. We’re hungry. As long as I have this strap, nobody is walking in here and taking it. 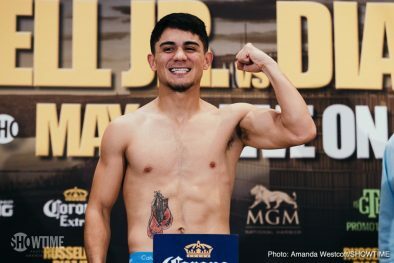 I know Diaz is going to bring his best to the table, but we’re ready. The strap is staying at home. 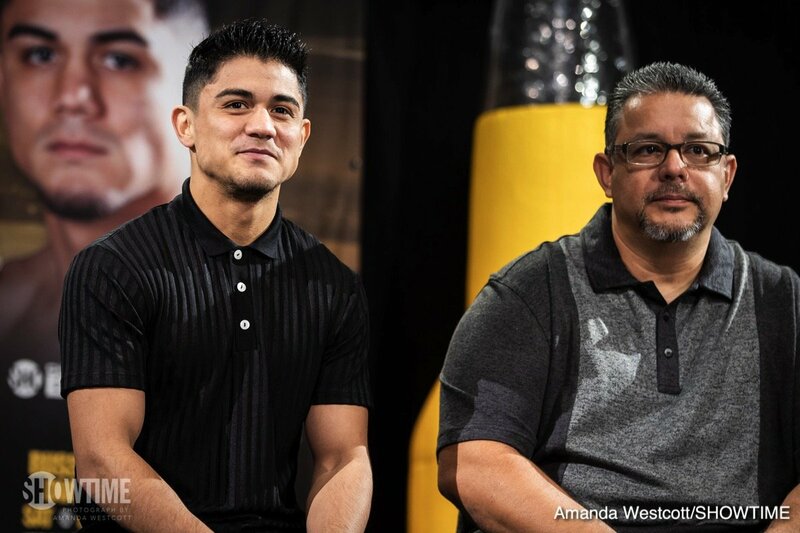 “Me and my little brothers Gary Antuanne and Gary Antonio are on the undercard and they’re going to show the work they’ve been doing. Our dad’s birthday is the day after the fight so you know we have to make it special for him. “It’s cool that both me and ‘JoJo’ are trained by our fathers. Because at the end of the day, when you look at your coach, that’s your last line of defense. When everything else goes wrong, you have to go the corner. 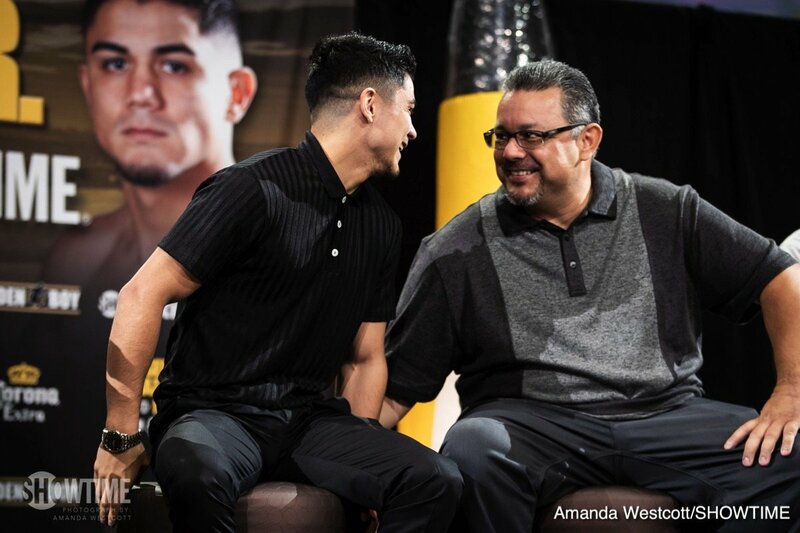 You have to have a level of trust and belief in your corner, so who better to have than a parent there? “It’s difficult for me to know if ‘JoJo’ is my toughest opponent since Vasyl Lomachenko because I never train with a lot of worry about my opponents. I think that the biggest thing is preparing myself to the best of my ability and being the best that I can possibly be. 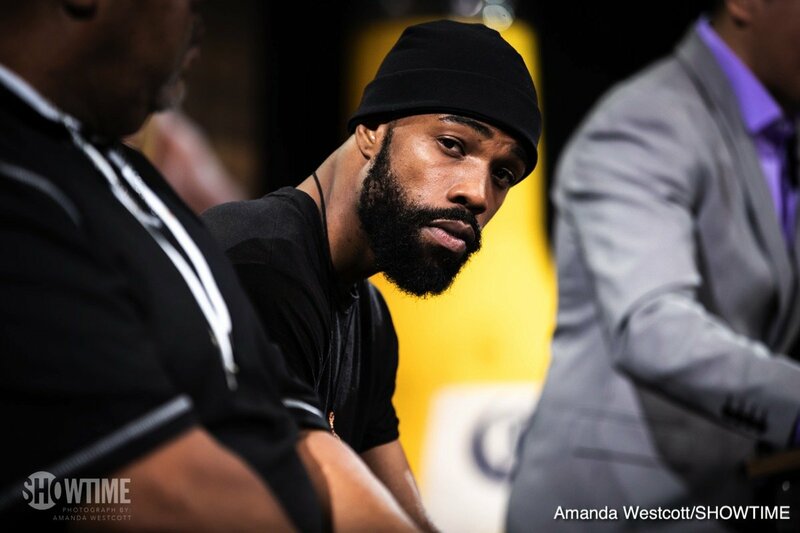 “I believe in my ability to make the necessary adjustments, no matter what my opponent brings to the ring. If he wants to come in and box, we are equally as comfortable boxing long ranged as we are making the fight rugged. In order to be great at anything, you have to have a level of versatility. That’s something I bring to the table that a lot of fighters don’t bring. 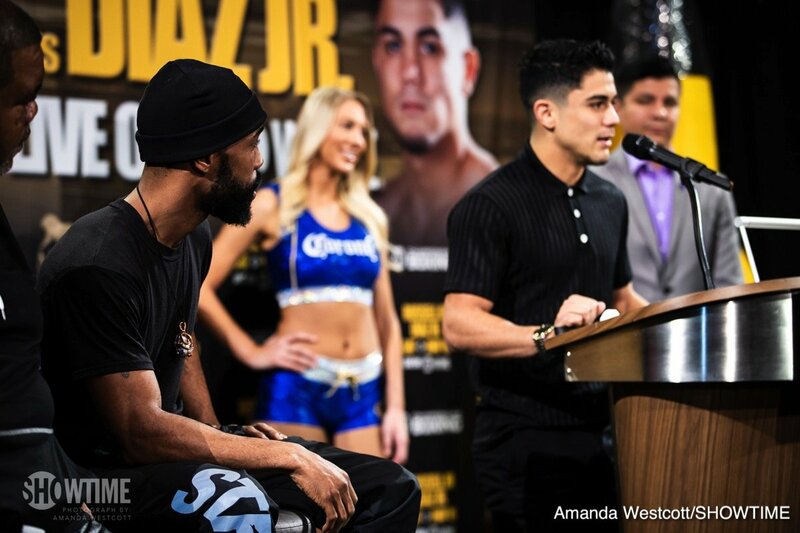 “Diaz worked his way up the ranks to get this fight. He did everything you have to do to get in position to fight for a world title. 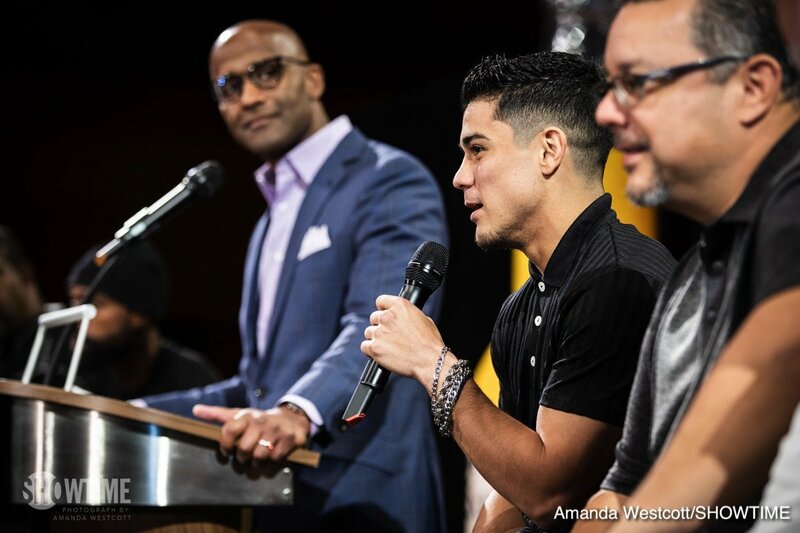 He’s already mentioned that I’m the best fighter in the division and he knows that all the other champions in the division are afraid to step up and compete against me. 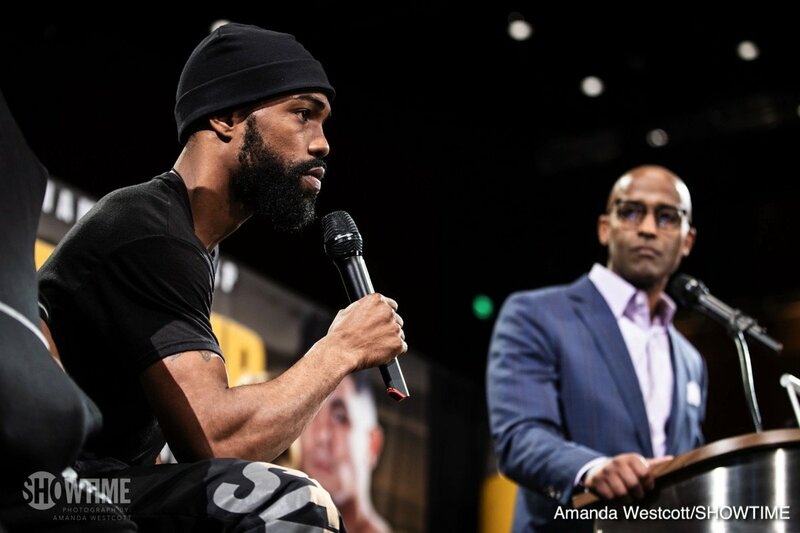 “Any fighter who has two months or more to prepare for one opponent is definitely dangerous. We never overlook anyone. I believe in my hand speed, my punching power, my ring generalship and in my ability to make adjustments. 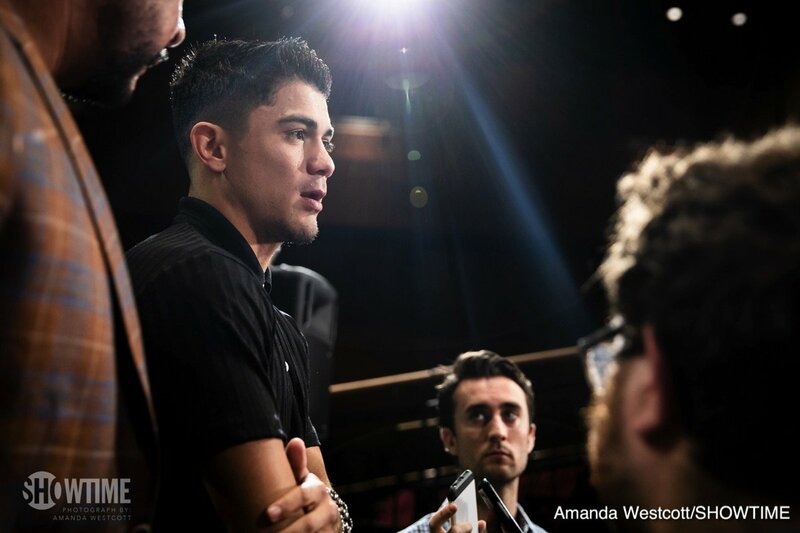 “If we can get through this bout, I would love to get in the ring and unify with any of the other featherweight champions. The timing is perfect right now for any of these unification fights. If they still don’t want it, I’m willing to move up in weight to meet any of the guys who have a name. It’s time to make it happen. “I take my hat off to him and to his team for having the guts to step into the ring. There are only certain people who can be made for this sport and it speaks volumes about him as an individual. I don’t expect anything less than a worthy opponent. “It’s right here and around the corner. I’m very excited for the moment to be here. I’ve been waiting for this my whole entire life and I’m not going to take anything for granted. I trained extremely hard for this fight. “I absolutely think Gary is overlooking me. I think he underestimated me. I’ve trained for this my whole entire life. This opportunity has been presented to me by my hard work and it’s really the opportunity of a lifetime. I can’t wait to show everybody my skills and what I’m truly about. “It’s all about timing. Gary has the fastest hands in boxing but we’ve watched a lot of tape and we see a lot of flaws. Every fighter has flaws. We’re just going to capitalize on what we see and take full advantage on Saturday night. 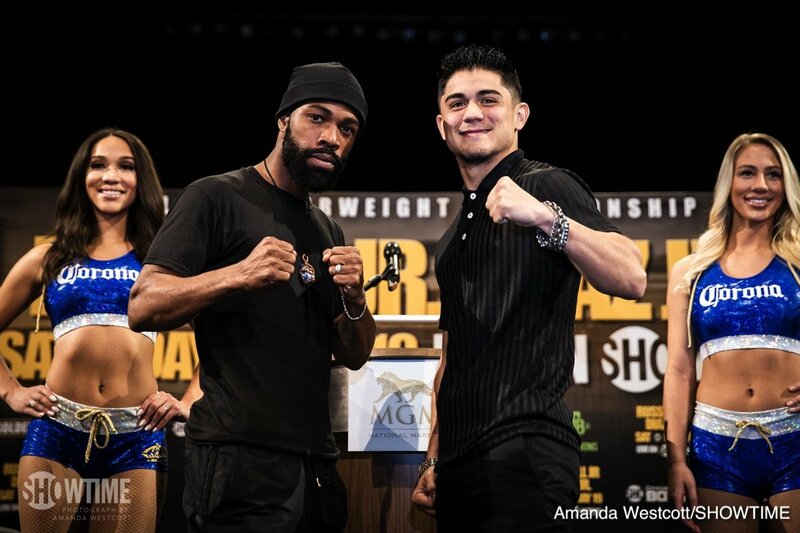 “I don’t think Gary having not fought since last year will be any kind of advantage. 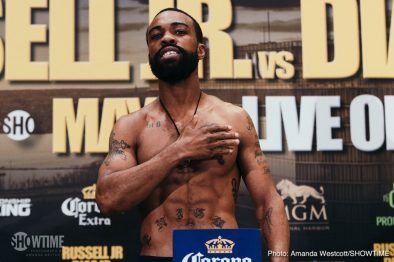 I want Gary Russell Jr. to be at his best come fight night. I know that I’m at my best and the best man should win on fight night. 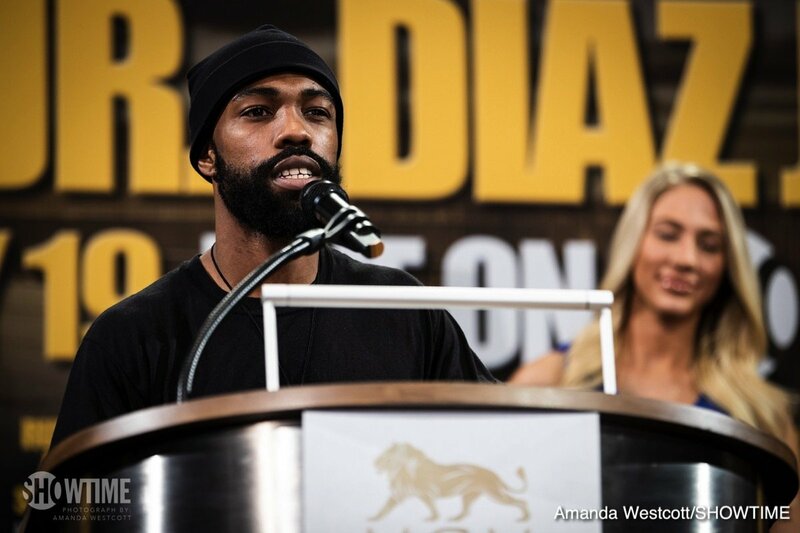 There shouldn’t be any excuses after this fight and after I win the title. 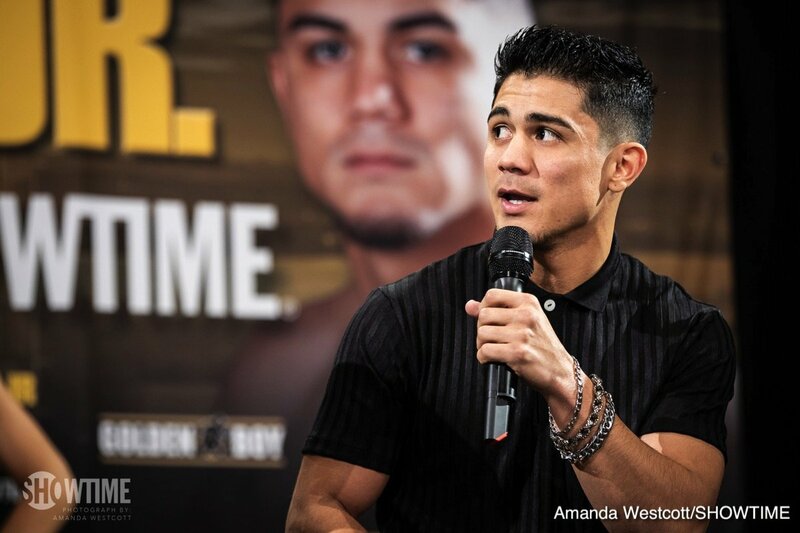 “I believe after I win this title on Saturday night that I’ll be on top of the throne in the featherweight division. Hopefully I can get some big fights soon after that. “I’m prepared for everything he’s going to offer. He’s going to come out and box a little bit and look to use his jab, create angles and use his speed to keep me out of range. It’s going to come to the point where he’s not going to want to move as much and he’ll starting fighting on the inside. That’s where I want to be. We’re going to deliver some great blows and may the best man win. 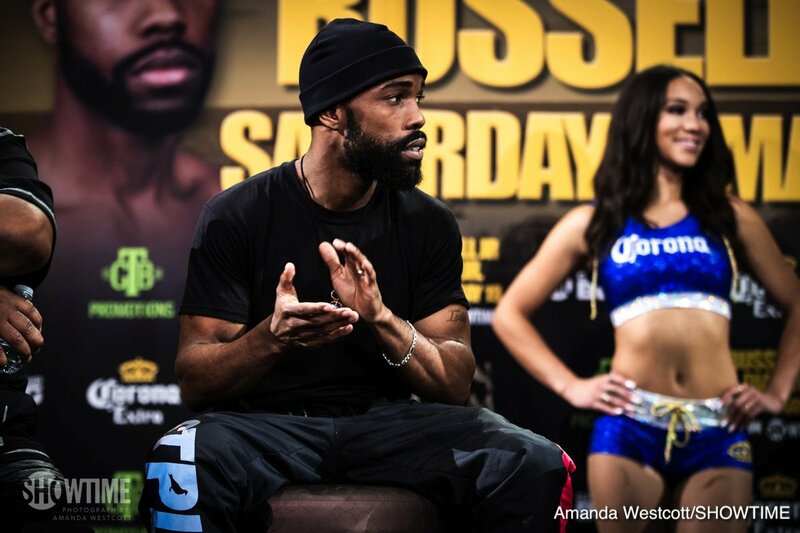 “I know what Gary Russell Jr. brings to the table. 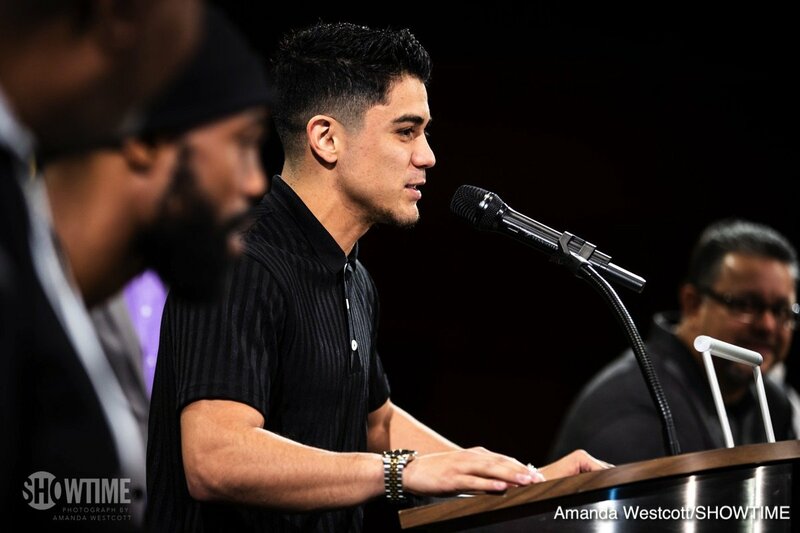 I know he’s the toughest fighter in the division but I’m ready to go out there and bring back the WBC title. I’m ready to fight the best and unify all the titles. “It’s going to be fireworks on Saturday night. I’ve had a perfect training camp and I’m on weight. Everything feels great and I can’t wait to step into the ring. “I’m ready for anything. If it stops early or goes the distance, I’m going to keep pushing each round more than the last. “The reason for the inactivity is just politics. We always have the intention on fighting but we want to find the best opponent for Gary. ‘JoJo’ is the mandatory so we’re going to fight him and after we get this win, we’re looking at Leo Santa Cruz, Abner Mares, Carl Frampton. We want to unify. 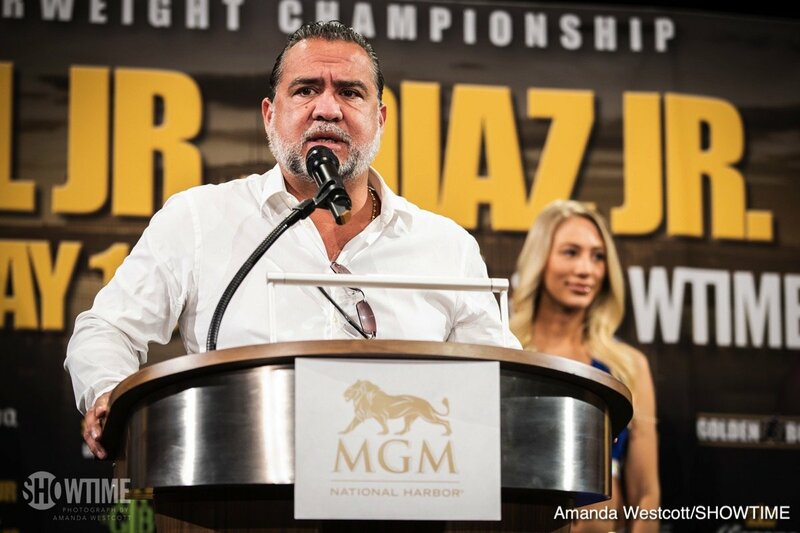 “Before Gary retires from the sport, he’ll move up and do whatever it takes to get a rematch with Lomachenko. “It’s a blessing to be in this position. I really believe that god didn’t bring us this far only to bring us this far. I really think the journey is going to continue. I’m very proud of my son. He has worked really hard and has shown a lot of will and determination. It means the world to me that he’s pursuing his career and is doing something that he loves doing. 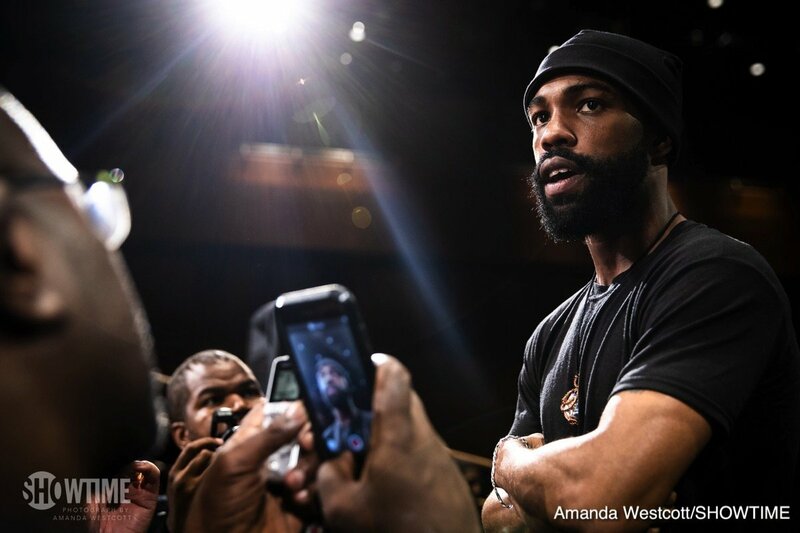 “It’s exciting to finally have a fight on the east coast. It’s beautiful out here. Joseph has been wanting to fight out here and now he has that opportunity to meet some of the fans he has out here that he hasn’t had the chance to meet. 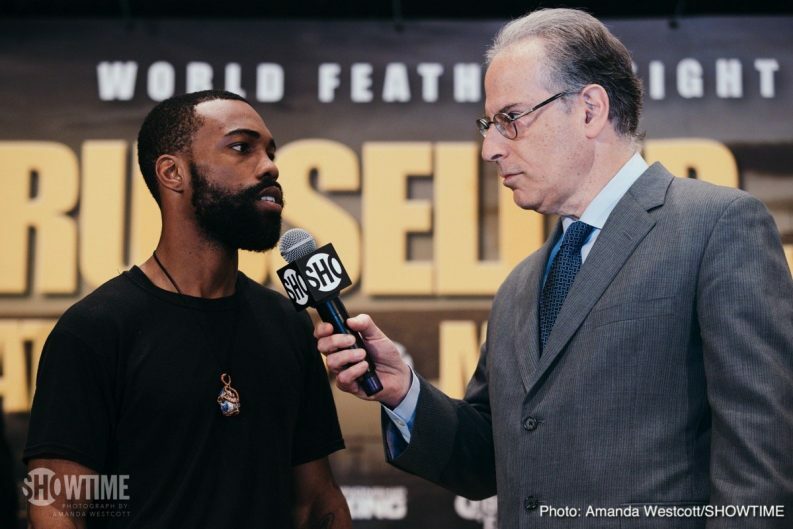 “Russell Jr. is a fast fighter. He’s skilled and he’s smart in there. We’ve been working on Joseph’s timing. Joseph’s a little deceiving because he kind of moves a little slow but he’s actually much faster than people think he is. The speed of Russell doesn’t affect us at all. Joseph has sparred and fought fast fighters especially in the amateurs. “We’re thrilled to be here at MGM National Harbor. MGM is an incredible brand that means a lot in boxing. 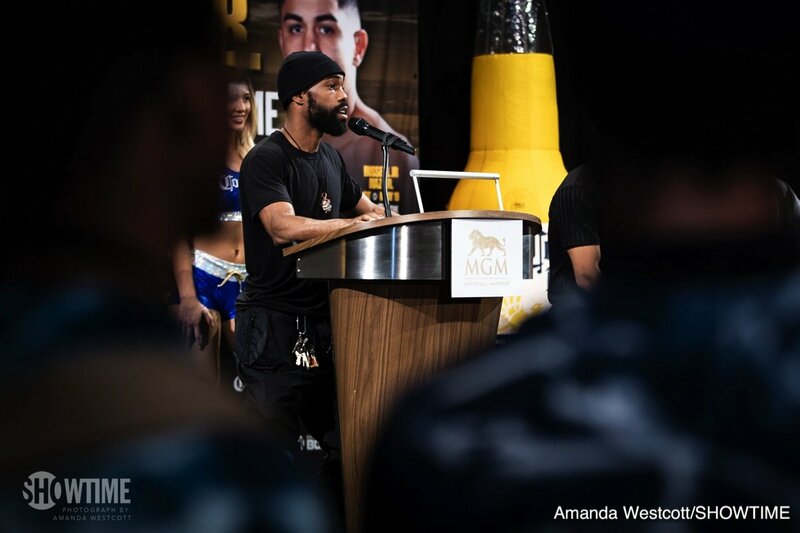 It is a brand that is known throughout the sport at the highest level and we appreciate the entire MGM organization and their support for the sport. 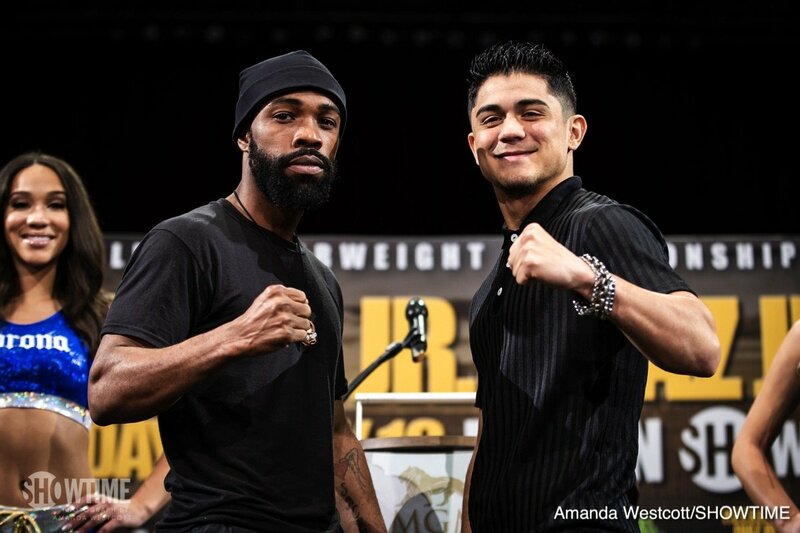 “Gary Russell Jr. vs. ‘JoJo’ Diaz which is an outstanding matchup. 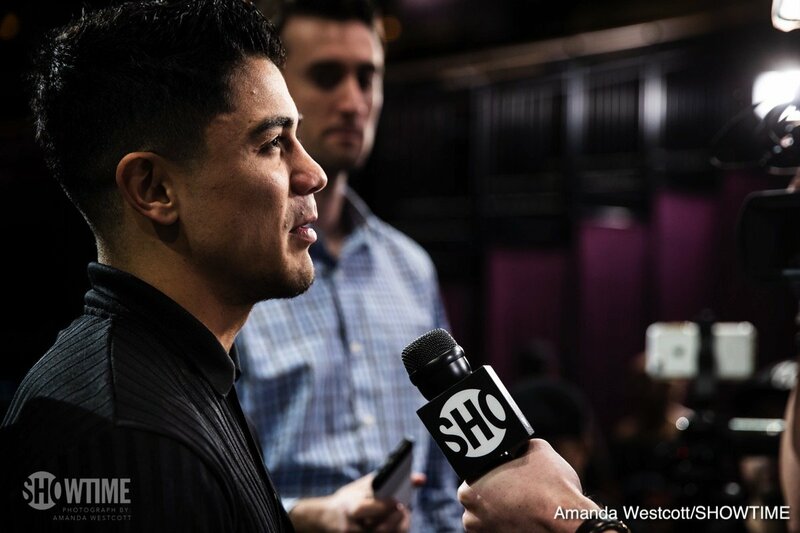 Gary is without questions one of the most skilled-if not the most skilled fighter in any division. He’s known for having the fastest hands in the sport. 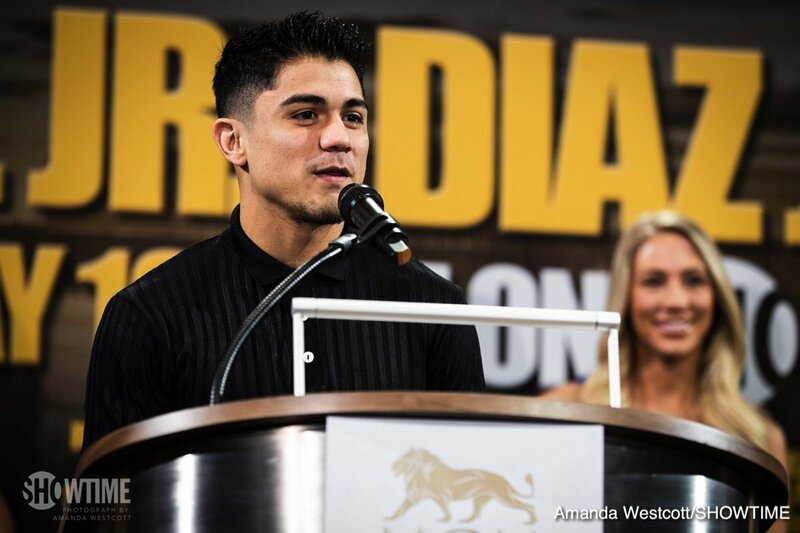 ‘JoJo’ Diaz is a young rising star who I’ve known personally since he turned pro. These are two action fighters. 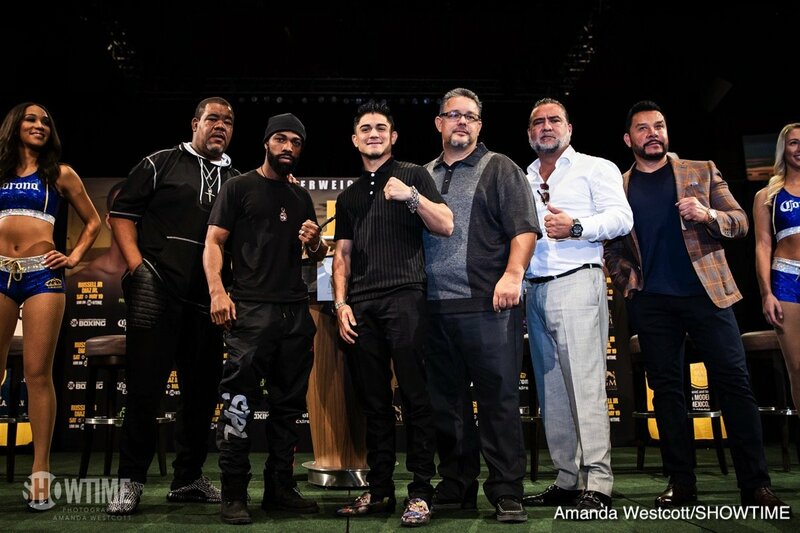 They’re fan-friendly fighters who will deliver an action packed night. 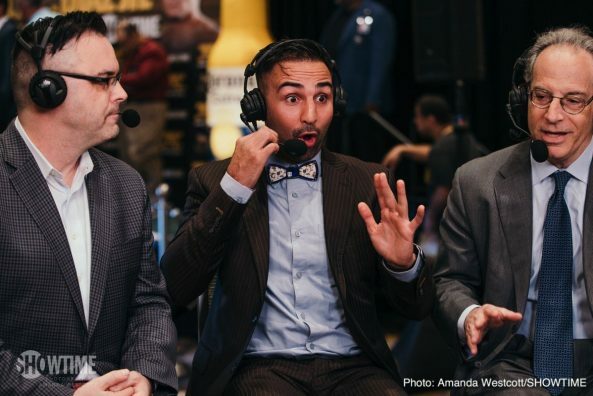 “It’s been an interesting couple of weeks in boxing. A lot of announcements, new ventures and big promises. 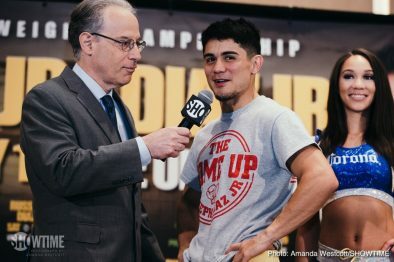 But here at SHOWTIME we just keep doing what we’ve been doing, and what we’ve been doing is delivering the best fighters, the biggest fights, week after week and month after month. 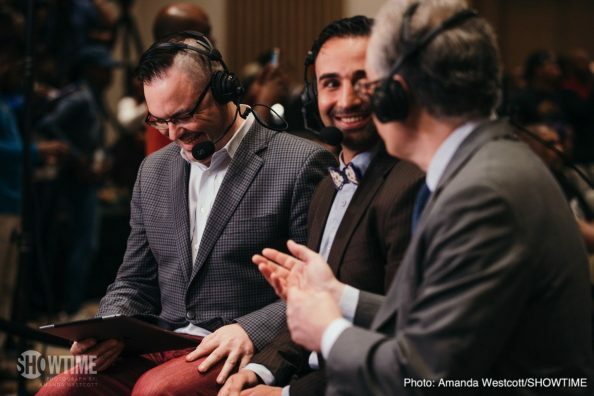 “SHOWTIME CHAMPIONSHIP BOXING is the home of more world champions and more world championship fights than anywhere on any other network. Speaking of title fights, we’re going to have three of them, from three different countries. At 5 p.m. 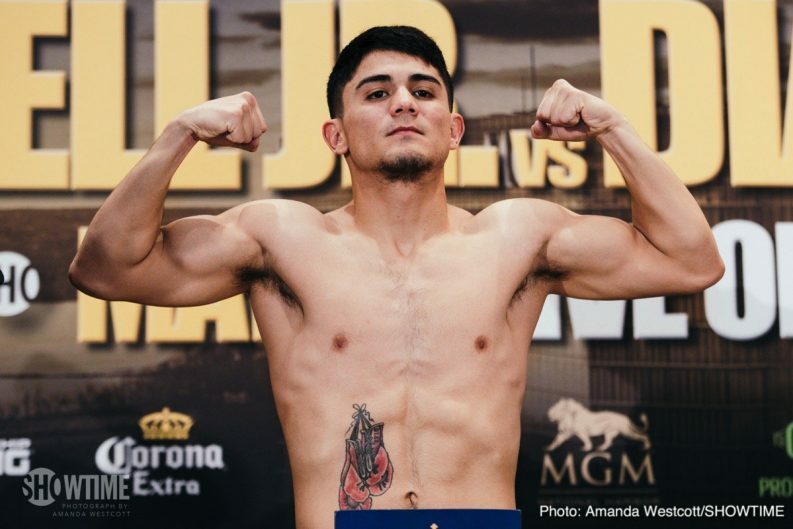 ET streaming on the SHOWTIME Facebook and Social Media platforms, we have IBF Featherweight Champion Lee Selby against challenger Josh Warrington. At 10:05 p.m. 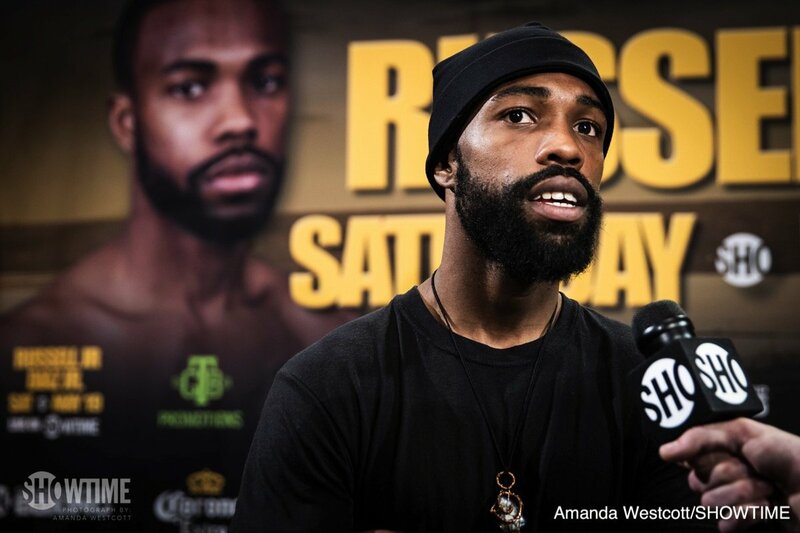 ET, we will have Russell Jr. vs. Diaz Jr. for the WBC Featherweight title, and immediately following that we’ll take you to Toronto for a light heavyweight world title fight between Adonis Stevenson and Badou Jack. 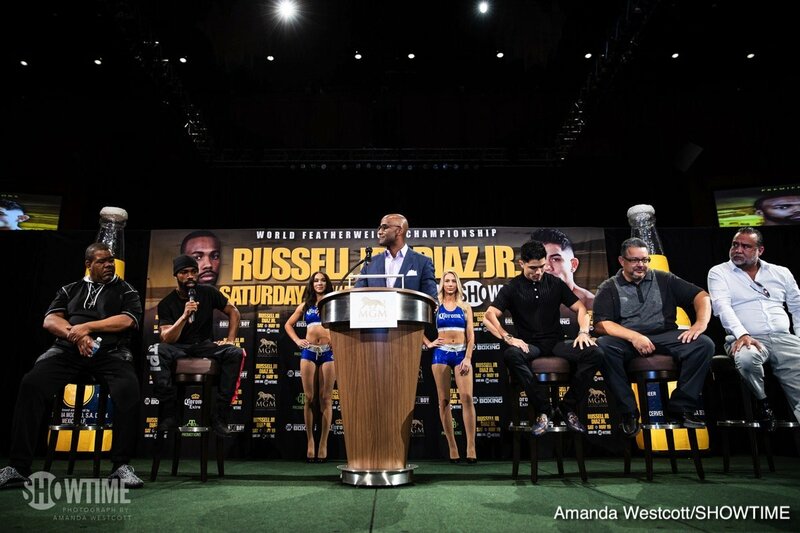 “We’re very excited to welcome these fighters and everyone involved in this event, back to MGM National Harbor. 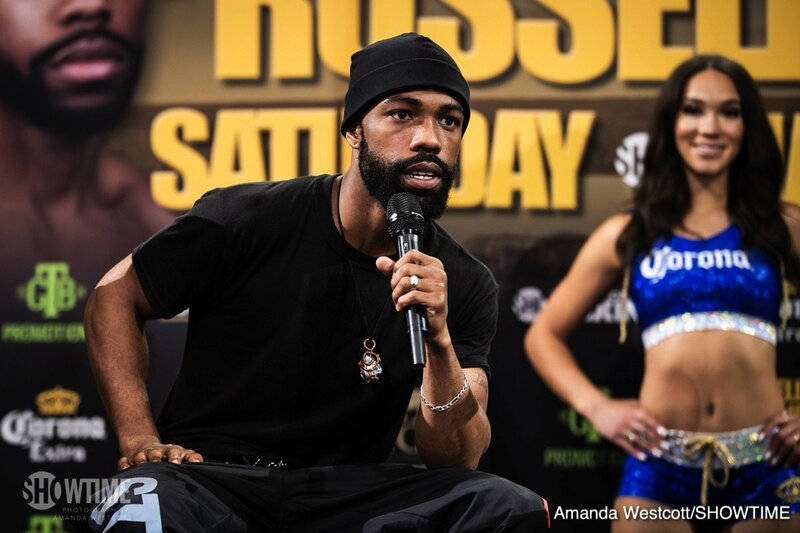 One year ago I was on a similar stage as we prepared for Gary Russell Jr. to defend his world title, and he did not disappoint his fans. 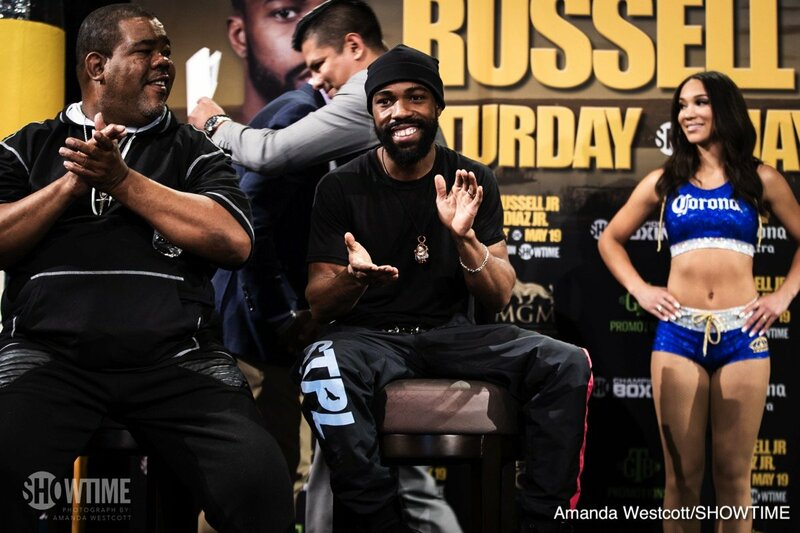 “The fans here in Prince George’s County and the whole region love a good show and a good fight. 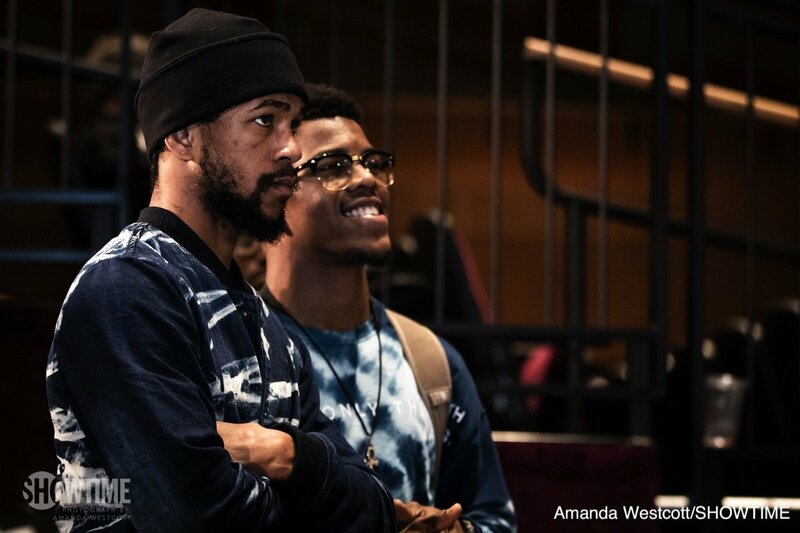 They love it even more when they can root on their hometown hero. Saturday night, will be no different.